Our Yellowstone River guided fly fishing trips and custom outfitting allow anglers staying in Bozeman, Livingston, and Gardiner, Montana to experience great fishing, comfortable lodging, and excellent dining on their Montana fly fishing adventures. The Yellowstone River is one of Montana’s great fly fishing rivers. The Yellowstone River runs through Yellowstone Park, Paradise Valley, and eastern Montana onto its eventual confluence with the Missouri River. All of our Montana fly fishing guides know the Yellowstone River well and consider a day fly fishing the Yellowstone River to be the classic Montana freestone fishing experience. 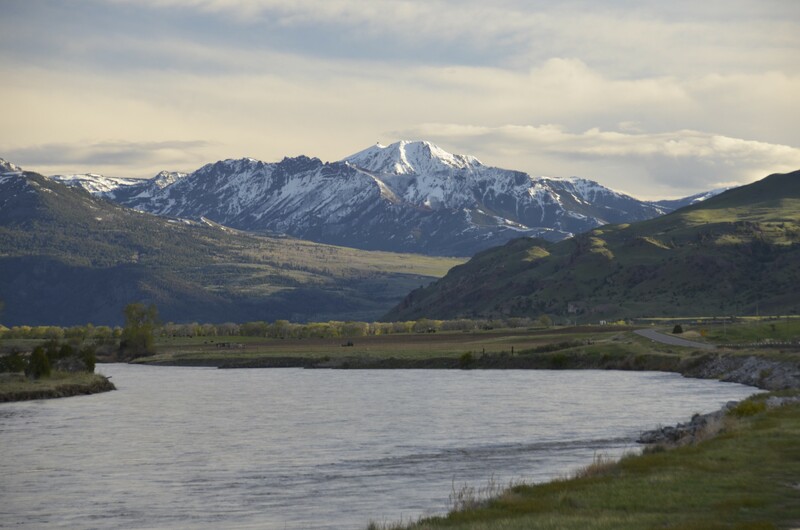 The Yellowstone River during the Spring, Summer, and Fall months is a dynamic wild trout fishery with consistent hatches keeping its population of cutthroat, rainbow, and brown trout on the feed throughout the fly fishing season. Our Yellowstone River fly fishing guides are primarily dry-fly focused and enjoy teaching seasoned and novice anglers alike. For anglers looking for the fish of their lifetime, streamer fishing can also be great on the Yellowstone River and gives anglers a better shot at larger brown trout. Guided Yellowstone River fly fishing trips generally focus on the stretch of the Yellowstone River from the boundary of Yellowstone National Park in Gardiner, MT down through Livingston, MT. This stretch is all blue ribbon wild trout fishing that is best fished from drift boats and rafts. Our Yellowstone River Montana fly fishing guides are all experienced oarsmen that make focus on making every Yellowstone River fly fishing trip safe and fun. Whether you are just passing through on your way to Yellowstone National Park or are in the Bozeman area for a multi-day fly fishing adventure, fly fishing the Yellowstone River is an experience not to be missed. For more information about Yellowstone River guided fly fishing trips with the Montana Angling Company or to book your next guided fly fishing trip, contact us and we can work together to build your best Yellowstone River fly fishing experience. Fish On!